Join us from 2-6 pm to enjoy Victory Beer, That’ll Do BBQ, Pelican's SnoBalls, as well as a local fire and ems apparatus a motorcycle display, kid-friendly activities, raffle baskets, and a silent auction. Parking will be available at Unionville schools and shuttle buses will be provided for transportation to and from the firehouse. All participants will have their head shaved bald or hair cut 8 inches by barbers and hair stylists. We’re featuring our very own Fire Chief Jason Griffith as a celebrity barber! Our team is still growing and consists of men and women from the community who have joined the fight for a cure (our youngest member is 10)! You can still become a member of our team or donate to support us. Please visit our page: https://www.stbaldricks.org/teams/mypage/124923/2019#content and help our team members meet their goals! 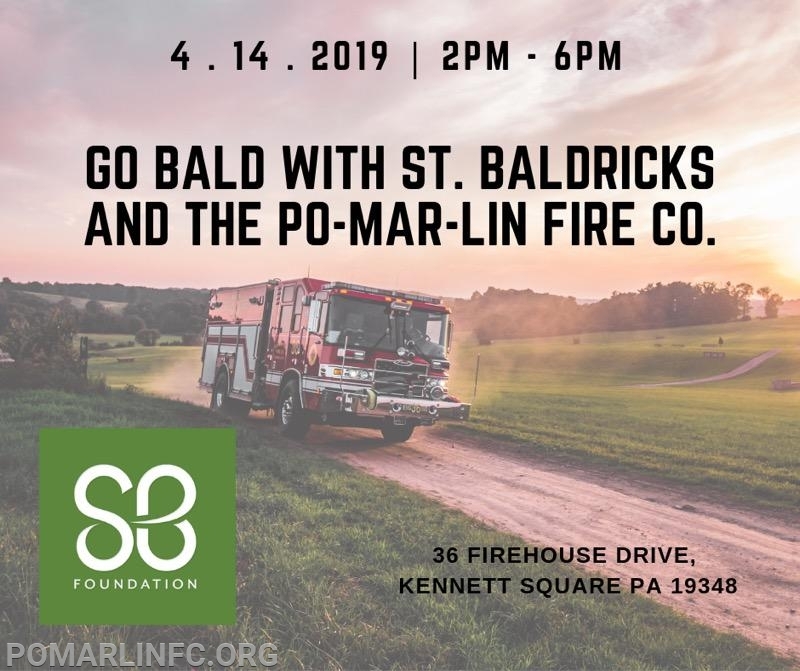 All money raised will benefit St. Baldrick’s Foundation. Why: To join the fight against childhood cancer!